The one frustrating thing about birding for me has always been those few bird species who always look like another similar species. I've been birding for a few years now and there have been two sets that have always seemed to elude me. The first, is the Canada vs. Cackling Goose. For the life of me I never seem to be able to pick out that one Cackling goose in the flock. There have been multiple reported in Peterborough this spring and although I've tried to find it many times now...I have yet to! 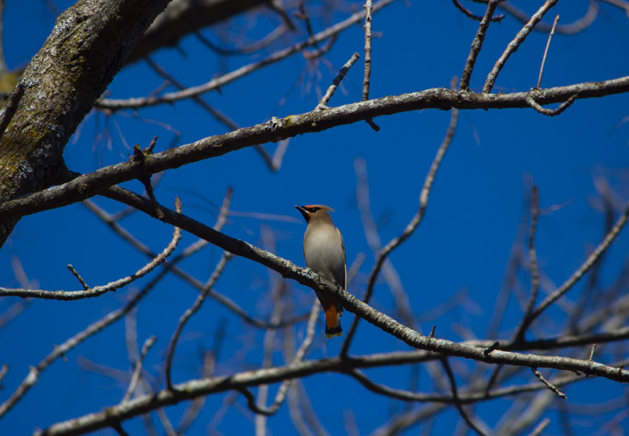 The second, is the Cedar vs. Bohemian Waxwing. For a few years now I have tried to identify one in the field amongst a flock however, the differences always felt so minute, that it was hard to. A few days ago Mike and I went on a walk to Beavermede Park. I feel so luck to live across from such an area that when I feel the stress building, it's my retreat. This particular day we had been working since early in the morning and took an hour to go for a relaxing walk. At Beavermede we saw a few usual species; Canada Geese, Mallards, an Osprey, song sparrows, robins, etc. We hiked out towards where the campsites were, and this was where we saw a large flock of Cedar Waxwings. They were everywhere! At first they all just looked like Cedar Waxwings to me, however I took out my Ibird app on my phone and did a quick scan between the two waxwings to see what differences I should be looking for with both site and sound. We sat near a tiny puddle where the birds seems to be landing to take a drink. I began just snapping photos trying to get every bird I could, in hopes that I could spot the differences when I got back home. While looking at the photos now I do spot the differences, we were able to finally see them in the field! At first we focused on the belly, being more of a gray colour than yellow. In the sunlight, however, this proved to be pretty difficult to gauge. I then decided that it was likely best to look at the wings instead. 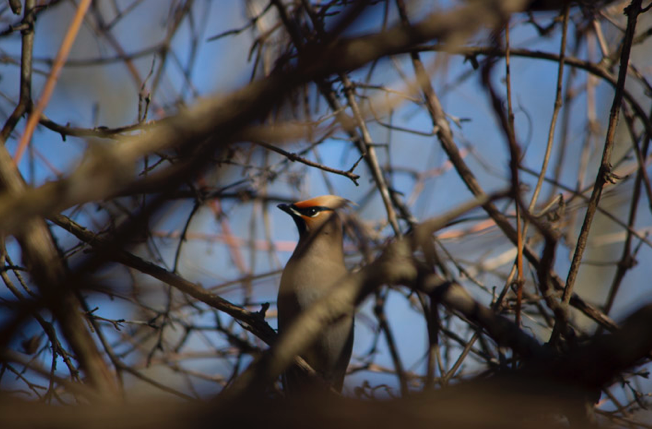 A main difference between the two was that while Cedar Waxings have a solid gray wings (minus the little red waxy tips), Bohemian Waxwings have this same colouring but with white bars across the feathers. 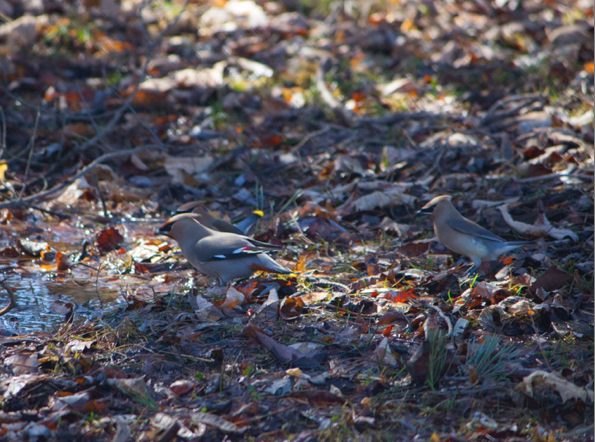 So while these waxwings landed on the ground to drink, I finally took notice of these differences. I managed to snap a perfect photo of the two almost side by side (below). The front bird is the Bohemian, notice the white on the wingbars and the more rufous under-tail. Behind it, is the Cedar Waxwing with the solid wing colour. It was incredibly exciting to finally be able to spot the differences between the two! It is always rewarding to be able to spot and ID new species, however I found it particularly rewarding in this case since the two have always looked so similar to me. Now all I need is that darned goose!